Color Yellow, Khaki, Brown, Pink, Green, Orange. File Type Fitted with Ring Clip with Stopper. 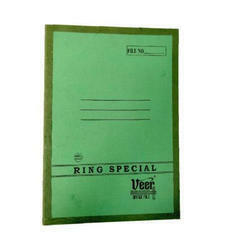 Backed by a rich industrial experience, we are engaged in bringing forth a comprehensive variety of Veer Special Ring File.